Faceplates provide an easy way to get bowl blanks mounted on the lathe. One downside….the direction in which they spin is the same direction in which they tighten. That is, of course, a good thing when it comes to keeping the bowl blank on the lathe. But it can be a bad thing when it comes to getting the faceplate OFF the lathe. The more you turn, the tighter the faceplate gets. This can quickly lead to you trying to figure out how to free a stuck faceplate. No problem, we’ve got a solution for you. Lathe turning is a great hobby, and very addictive. 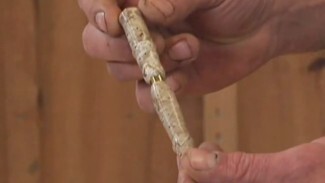 It’s one of the few things you can do in woodworking that provides nearly instant gratification. You can get many projects on and off the lathe in no time. 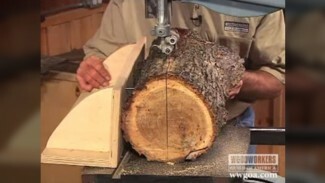 If you want to expand your lathe turning repertoire, be sure to look at our woodturning videos. Like freeing a stuck faceplate, we all run into hurdles in the shop that we need help overcoming. 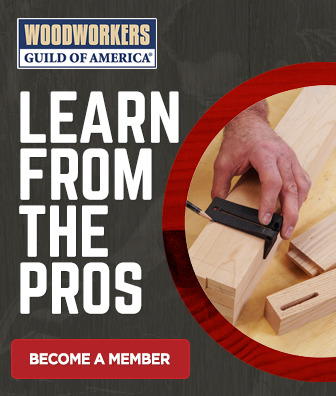 That’s why WoodWorkers Guild of America is big on tips and tricks. Anytime you’re stumbling a little in the shop, remember that we have more shop tips available to help you out. Easier by far is to make sure it never gets stuck in the first place. I put a plastic ring/washer/gasket (available from a couple of online stores at least) on the spindle before putting on the face plate. It NEVER gets stuck now. And you can make one fairly easily if you have any kind of 1/32 to 1/16 plastic (especially that UHMW plastic, which is slick), and you drill through with a 1″ (maybe slightly larger) forstner bit, then cut around the permeter so that there is a width of the ring of about 1/4″. This is the sizing needed for a 1″ x 8tpi spindle. 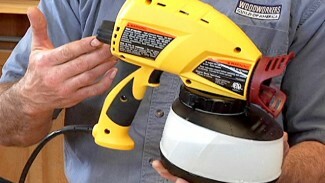 You’ll have to size it for your lathe. You’ll find that you can always unscrew a face plate with finger pressure. A strap wrench would work equally well.